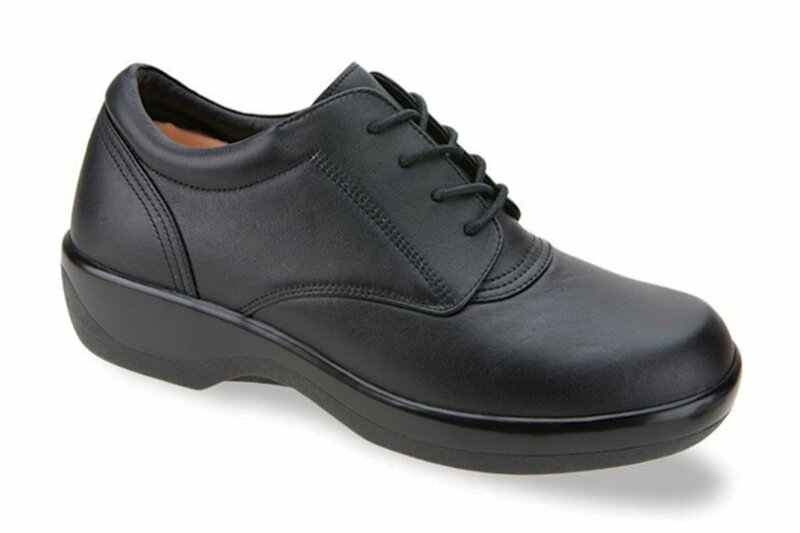 The Apex Ambulator Lace up Oxford for Women. The Black Women's Ambulator 1270 provides comfort and protection for trouble feet. Ambulator women's biomechanical and conform footwear provide extraordinary cushioning and support. Oxfords - Black - Apex The shoes fit well. However, the soles don't provide good traction on slippery surfaces. 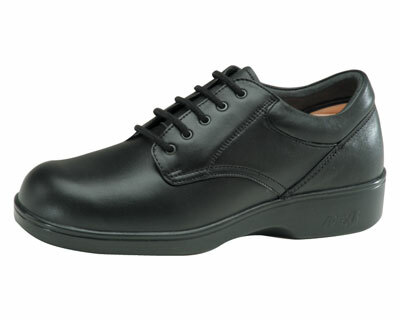 Oxford Black Apex My 83 year old mom felt these were true to size and feel great; better than a heavier walking shoe. Excellent Product These shoes were ordered for my 87 yrs old mother and she walks with a walker and cane. The fits was excellent and she loves them. Great for anyone with feet problems at any age! Delivery and price were great! These were lovely! Well made, and they fit my custom orthotics. But for me, they buckled when I walked, which means the shape of my feet just do not work with the shoe. I have many bone issues/deformities. I appreciate being able to try these on to see if they worked for me. Excellent product, just not for me. 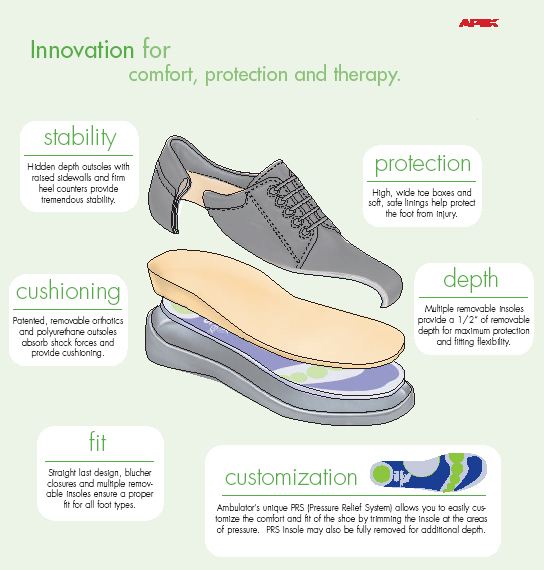 It's a nice shoe that fits well and is very comfy and supportive. But these shoe do not, I repeat, they do not breath. There are no ventilation holes. Half way thru the day my feet and socks are completely soaked. Disadvantages: There is no ventilation holes for your feet to breath. Also I had to exchange because the first pair was too small. Their web site says free exchanges and returns. I still have not got a full refund from the first pair that I asked to be exchanged.